Shi Feng's sudden evasion of the silver-robed man's One Spear, Six Transformations left the Secret Pavilion members speechless. "How did he do it?!" Cold Autumn's eyes widened as he stared at Shi Feng, who still had his eyes closed. Shi Feng had avoided that G.o.dlike spearmanship, which had been impossible to dodge with open eyes, with his eyes closed. Yuan Tiexin was similarly stunned. "Black Flame really is surprising. I had never imagined he would see through Sky's One Spear, Six Transformations so quickly," Yuan Tiexin exclaimed. "Years ago, I suffered numerous losses against Sky's One Spear, Six Transformations, yet Black Flame had seen through it after only a couple of attacks. Could he be a monster?" The silver-robed man named Sky was one of the Flower of Seven Sins's veteran a.s.sa.s.sins. Many top-tier experts from Super Guilds had suffered immensely at Sky's hands. Sky had even killed many experts who had also stepped into the Void Realm. Only those at the Void Realm, who could exert their five senses to their limits and possessed rudimentary control over their surroundings, had the ability to block One Spear, Six Transformations. Even Yuan Tiexin struggled to defend against One Spear, Six Transformations while wielding two weapons. He could block four or five strikes at most. However, he was a Shield Warrior, so he had a much easier time defending against the spear strikes with a shield. Only, he would have a much harder time closing in on Sky. Of course, there were many Skills in the game, such as wide-range attacks, that could neutralize such precision attacks. One could also distance themselves from Sky. After all, a Berserker's attack range was only so far. Even a long spear would not increase one's attack range by much. However, in a close-quarters, high-speed battle like this, aside from the Lifesaving Skills that one could activate with a thought, it was impossible to defend against Sky's attacks with Skills. Skills generally required specific motions before activation. This would create a sense of disharmony in expert players. Their attacks using Skills would not be as fast and natural as their normal attacks. Hence, this would reveal weak points that they did not normally possess. It was this reason precisely that experts in the Refinement Realm or above rarely used Skills in close combat against other players as it was highly possible that one weakness would spell their doom. Shi Feng had yet to reach the Void Realm. However, without using any Skills, he still managed to neutralize Sky's One Spear, Six Transformations. This was the first time Yuan Tiexin had seen such an occurrence. Meanwhile, on the battlefield, after Sky calmed his slightly surprised heart, fighting spirit flared in his eyes. He began to execute One Spear, Six Transformations once more. Sky executed his specialty technique numerous times in succession. Yet, Shi Feng dodged all of his attacks with his eyes closed, launching a counter attack each time. Initially, Shi Feng had only gotten one hit in during his counterattacks. Now, he landed two hits. Although Sky had blocked every attack Shi Feng had sent at him, he had received a lot of damage. Each one of Shi Feng's attacks had dealt over -500 damage. Shi Feng's Strength was astonishing. In G.o.d's Domain, the resulting impact as weapons clashed would offset the damage. If there were a significant difference between the combatants' Strength, however, some damage would occur. However, this damage was usually so low that it was almost negligible. If the difference in the combatants' Strengths was quite vast, the weaker side would receive significant damage, even if they blocked the attack successfully. Sky experienced this first-hand against Black Flame. His equipment had already reached the current peak among players in G.o.d's Domain. He was also a Berserker, a cla.s.s famed for its Strength. The Berserk Skill he had activated was even a Strength-type Berserk Skill. Yet, Shi Feng's Strength was still far above his own. This was the first time Sky had encountered such a situation. In terms of the Strength Attribute, even those monster-like players in G.o.d's Domain could not overwhelm him like this. It no longer felt as if he fought another player. Instead, it felt more like he fought a humanoid Lord ranked monster. He received over -500 damage just by defending against attacks. His HP after activating his Berserk Skill was only slightly more than 19,000. He had a limit to the number of times he could defend against Shi Feng's attacks. Although Sky put in the utmost effort to dodge Shi Feng's attacks, he discovered that he could not dodge any of them. Despite having relatively powerful control over his surroundings, Shi Feng's attacks were simply too fast. Even though he could predict Shi Feng's attack trajectories, he could barely defend himself. "You really are amazing. It's no wonder why even Silver has noticed you." Glaring at Shi Feng, Sky said in a low tone, "I had intended to save this card for challenging Silver, but it seems that I have no choice but to try it on you." As soon as he said this, Sky's spear shot out and transformed into nine spear images. This was currently the limit of Sky's abilities. Not only did this move have a greater range than One Spear, Six Transformations, but it was also much faster. This time, Shi Feng opened his eyes. Facing the sudden approach of the nine spear images, rather than retreating, Shi Feng moved forward to welcome the spears. Yuan Tiexin, who watched from afar, thought that Shi Feng had lost his mind. Players, who knew of it, already avoided One Spear, Six Transformations like the plague. On the other hand, One Spear, Nine Kills sent chills down even Yuan Tiexin's spine. Even if he could lift his shield in time, the spear images would, most likely, hit him. Yet, Shi Feng had taken the initiative to welcome the spears. Did his success of neutralizing Sky's One Spear, Six Transformations make him overconfident? However, as Yuan Tiexin stood too far away from Shi Feng, he did not notice the faint blue arcs of electricity circling Shi Feng's body. This move was none other than Killing Ray's second Skill, Thunder G.o.d's Descent. Become immune to all Control Skills, Movement Speed and Attack Speed increased by 150%, damage increased by 50%, and all damage received decreased by 50% for 30 seconds. In the next moment, numerous blue lights flashed. The lights deflected the spear images as they closed in on Shi Feng. From an outsider's view, it looked as if the spear images had avoided Shi Feng. Like a strong gale, Shi Feng blasted through the nine spear images and swept past Sky. Too fast for the naked eye to follow, Killing Ray penetrated Sky's body. This had all happened in an instant. Before Sky even realized what had just happened, fountains of blood spurted from his body. His HP plummeted rapidly. In the blink of an eye, his 19,000-plus HP fell to zero. Sky's body thudded as it hit the ground. Shi Feng's sudden attack had killed Sky, stunning everyone who watched. For a moment, only silence followed. "How did he block the nine spear images?!" Questions filled the minds of the Secret Pavilion crowd. Despite their focus on Shi Feng all this time, they had only seen Shi Feng vanish and reappear. They had not noticed Shi Feng draw his sword before Sky fell to the ground. None of them knew exactly what had just happened. Shi Feng had clearly waged a bitter battle against Sky just moments ago. Yet, after a few exchanges, Shi Feng had seen through and neutralized Sky's specialty technique. He even claimed Sky's life with a single move. This change had happened too fast. It was unbelievable. "Uncle Yuan, do you know what happened just now? What did Black Flame do?!" Cold Autumn asked, practically shouting his question with bloodshot eyes. However, standing beside him, Yuan Tiexin's were just as wide, containing his own confusion. 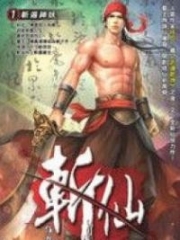 You're Read Reincarnation Of The Strongest Sword God Chapter 742 online at NovelOnlineFull.com. You can use the follow function to bookmark your favorite novel ( Only for registered users ). If you find any errors ( can't read,broken links, can't load photos, etc.. ), Please let us know so we can fix it as soon as possible. And when you start a conversation or debate about a certain topic with other people, please do not offend them just because you don't like their opinions. You're reading Reincarnation Of The Strongest Sword God. This manga has been translated by Updating. Author(s): Lucky Cat. Already has 2254 views. Current Time is 19-Apr-2019 01:05:29 AM.